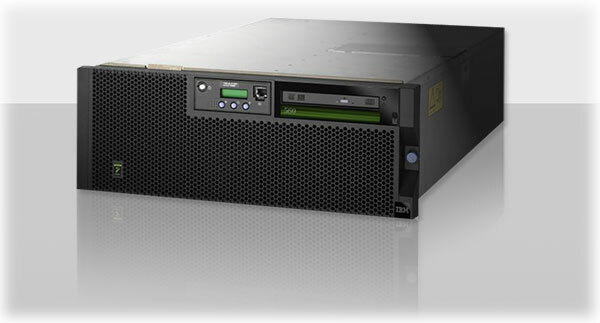 The IBM Power 560 Express 8234-EMA is a server with mainframe-like expandability and reliability. It works great as a database server, application server or for consolidation. The units that we have in stock (configured below) are new, factory sealed, never used. MSRP on these machines was in excess of $180,000. We have been providing these to our clients at over 90% off from list price. Server consolidation. You can take out several older p5 machines and consolidate to one server – saving power consumption, rack space and maintenance costs. Potentially eliminate maintenance costs. Virtually every feature on these machines is easily removed and installed. By having a spare machine on site, you can hot swap disk drives, power supplies, quickly remove and install PCI cards. Other than the price mentioned above, this is one of our favorite servers because it is rock-solid, easy to configure, easy to expand and upgrade hardware is readily available. You can start small (and inexpensive) and build out with memory, drives, expansion units and CPUs as needed. Even though it reached its end of life at IBM a couple years ago, it can still be powerful enough to replace multiple servers. That means less time and upkeep in your IT department (or for you as a Small Business Owner). When it first arrived on the scene it was touted as having the fastest processor in the world and things have not changed dramatically in that area, so it is still plenty fast.